Christopher Moore in conversation with Euan Morton ! 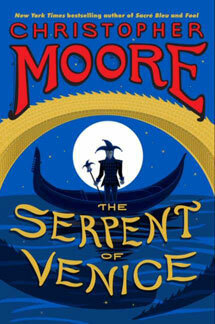 A very special in-conversation event, featuring bestselling author Christopher Moore and audiobook narrator, Euan Morton, in honor of Moore’s newest novel The Serpent of Venice: reading, signing, and Q&A. 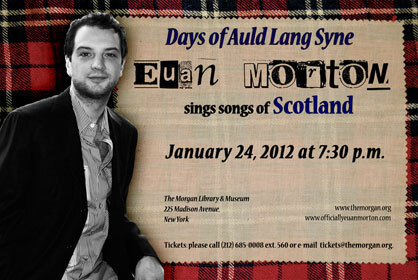 Euan Morton gave 2 live, solo concerts: the audience chose the songs for this concert and Euan sang them!! 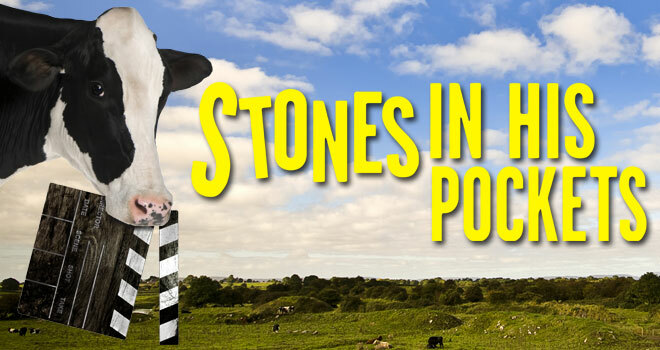 Euan played in Marie Jones’s Stones in His Pockets, a play in which a rural Irish village is turned upside down by the arrival of an American film crew. 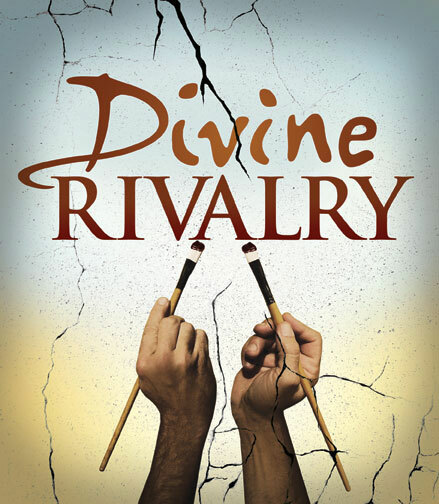 Euan played Michelangelo Buonarroti in Divine Rivalry, a play in which two of the world's greatest artists, Michelangelo and Leonardo da Vinci, face off in a painting competition orchestrated by political mastermind Niccolò Machiavelli (The Prince). 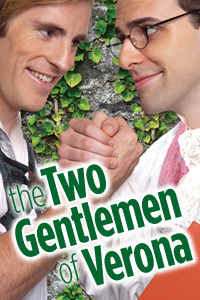 Euan played Lance in The Two Gentlemen of Verona, one of Shakespeare’s earliest romantic comedies. Euan appeared at the 20th Oscar Hammerstein Award for Lifetime Achievement in Musical Theatre at the Edison Ballroom. 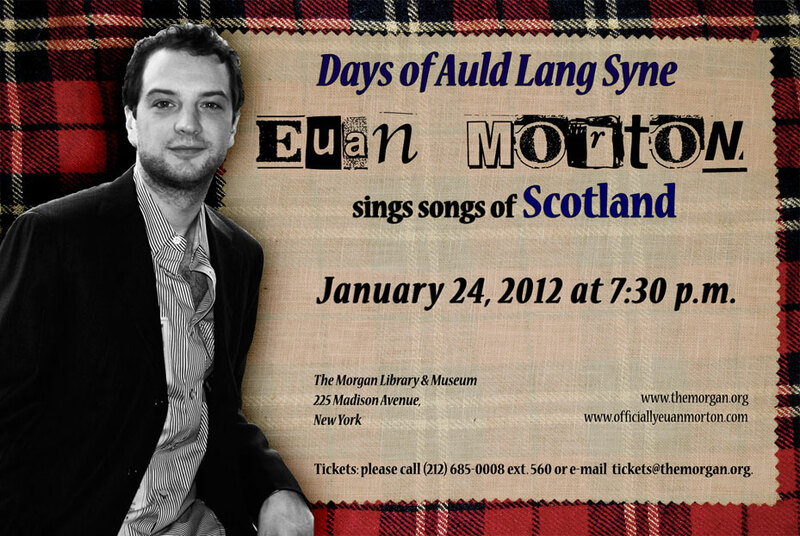 Euan Morton returned to MSMT for an evening of song and humour. 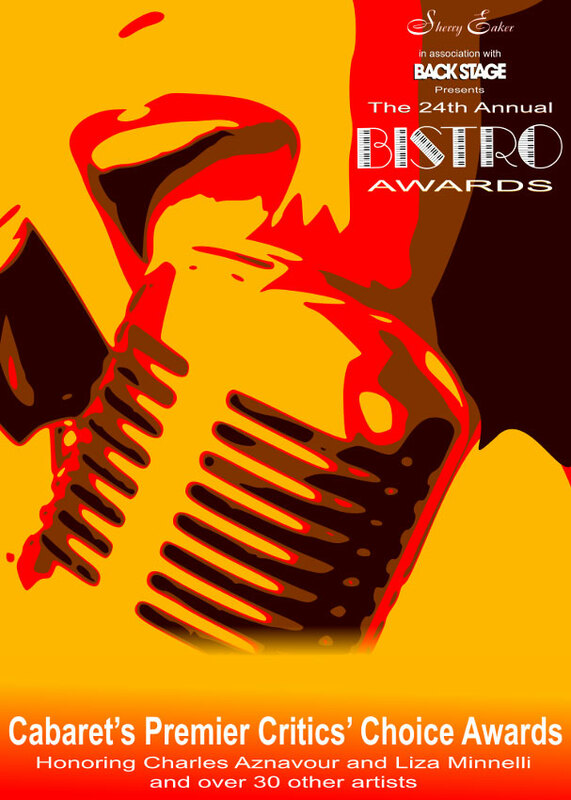 A two act evening featuring Joel Silberman, Euan Morton, Allan Harris, Amanda McBroom, Andre DeSheilds, Gretchen Reinhagen, and Lillian Montevecchi. Euan kicked off his road trip tour with a solo concert in Birmingham, AL as part of the Troubadour Series. See the set list. WHERE HAVE I BEEN (ALL YOUR LIVES)? See the set list and the photos. Euan took part in the Prometheus Bound workshop at the American Repertory Theater. 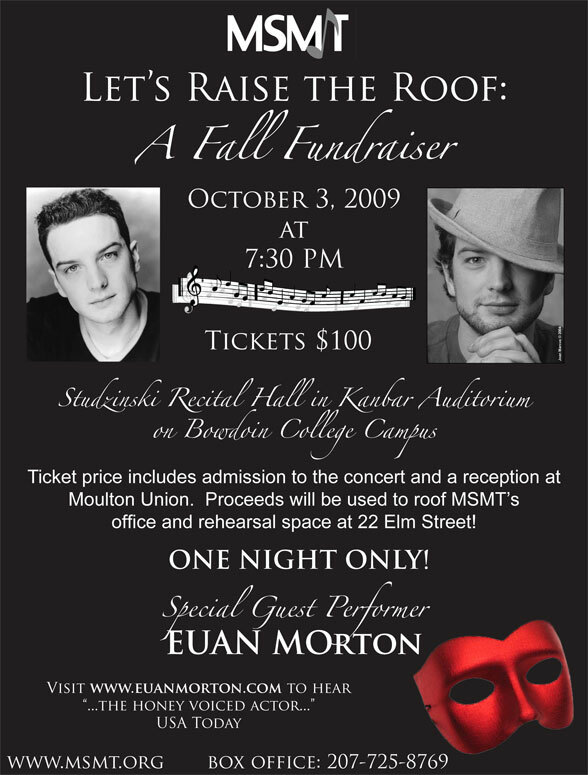 Euan performed at the 7th Annual Broadway Unplugged concert. 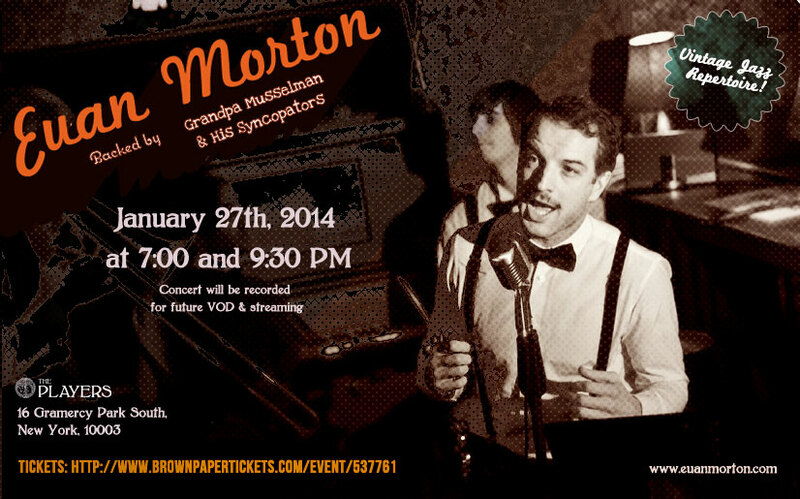 Euan Morton was featured in the first Brown Bag Thursday at the Signature Theatre. 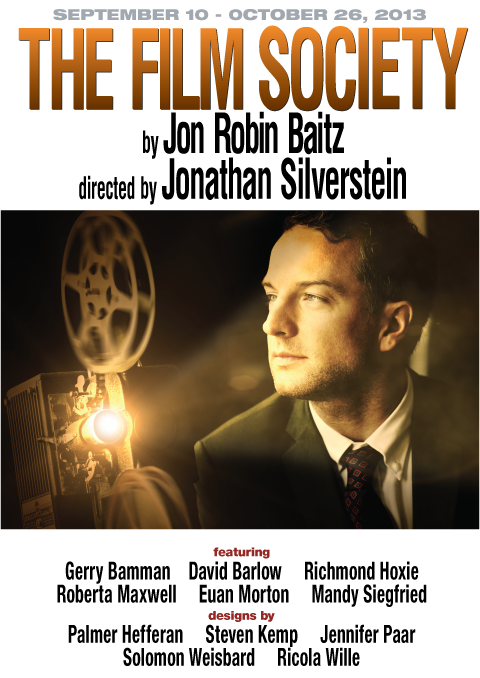 Euan Morton, Jeremy Kushnier, and Jill Paice starred in director Eric Schaeffer's production of Chess, at the Arlington, Virginia-based Signature Theatre. More info on our Chess page. 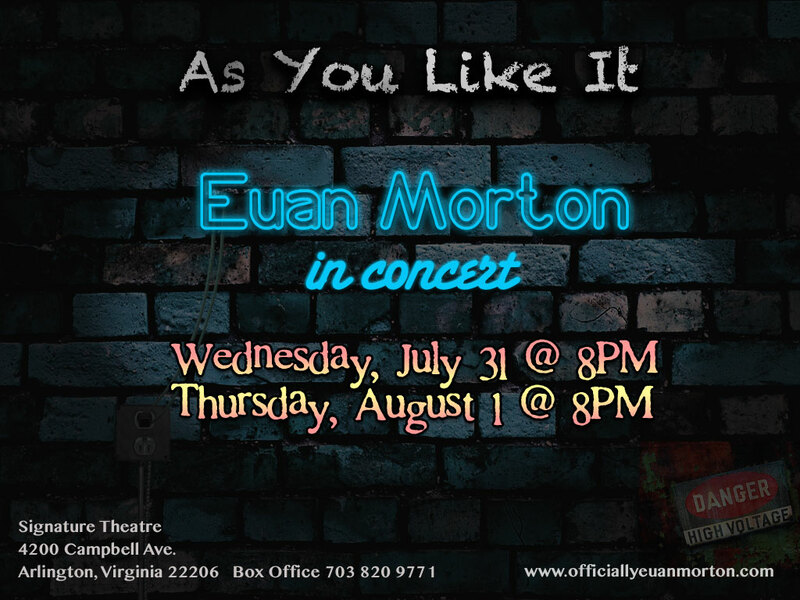 Euan performed a live solo gig at the Maine State Music Theatre on August 16th 2010 at 7:30 PM. Euan performed Anthem from Chess. Euan performed this year's Broadway Bares' opening number, The Best Game in Town, see the full video below!! Euan was on Susan Mc Cray's show, listen to the audio file. Euan was interviewed on Rosie Radio, Rosie O'donnell's radio show. Euan appeared with Barbara Cook, Vanessa Williams and Leslie Kritzer in Sondheim on Sondheim, the Broadway show conceived and directed by James Lapine. The Roundabout Theatre Company production began previews on March 19, 2010 and ran from April 22nd to June 27th at Studio 54. 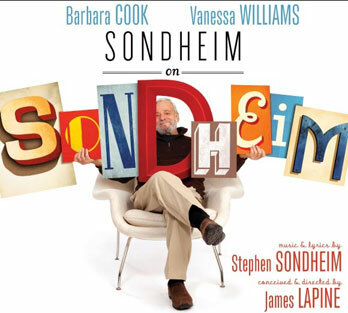 Euan was interviewed about Sondheim on Sondheim on WNYC radio, download the podcast. Euan performed Pie in the Sky (from Taboo) at Broadway Recycled, an Earth Day concert benefitting the Broadway Green Alliance and At Hand Theatre Company, which was presented at Joe's Pub. See photos of the concert. 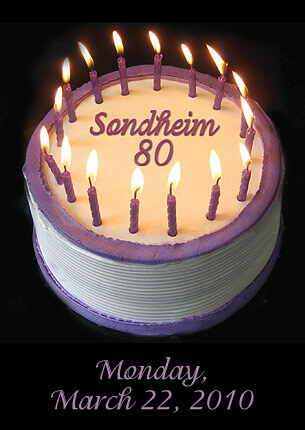 Euan took part in the Sondheim 80 gala benefit which celebrated Stephen Sondheim's 80th birthday. See photos of the gala. January 25th 2010 at 6:00 PM. The concert was also broadcast live on the internet!! Set list | Playbill | Screenshots | Watch the concert!! 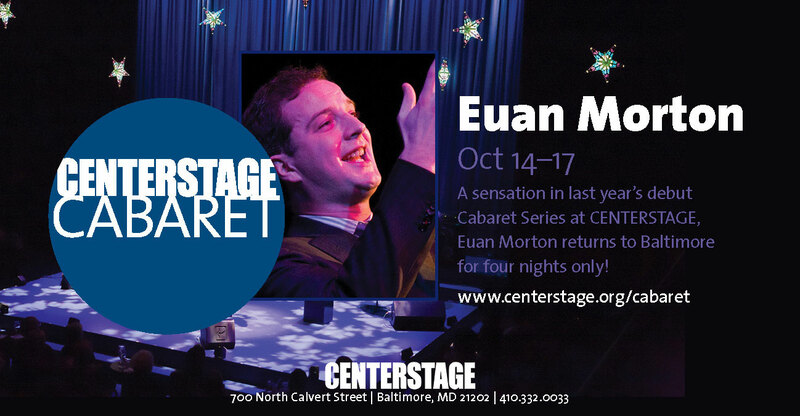 Euan performed select songs from the musical productions from 1995-1999 including First Lady Suite, Cabaret, A Grand Night for Singing, Passion, The Rink, Sunday in the Park With George, Working, The Fix, A Little Night Music, Over and Over, and Tell Me on a Sunday. See the set list and the playbill. See flyers, photos, and the set lists (includes a handwritten one!). 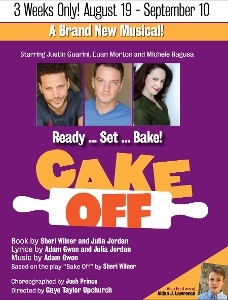 Euan took part in the 10th Anniversary of the Only Make Believe benefit at Broadway's Shubert Theatre, see photos of the event. Euan took part in the Harman Center for the Arts Annual Gala in Washington, D.C.
Euan appeared in Moises Kaufman's production of the Stephen Sondheim-James Lapine musical Into the Woods at Kansas City Repertory Theatre. 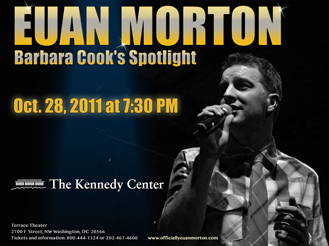 Euan performed 2 live solo concerts at the Signature Theatre (Arlington, VA) on July 18th and 19th 2009, 7:30 PM. 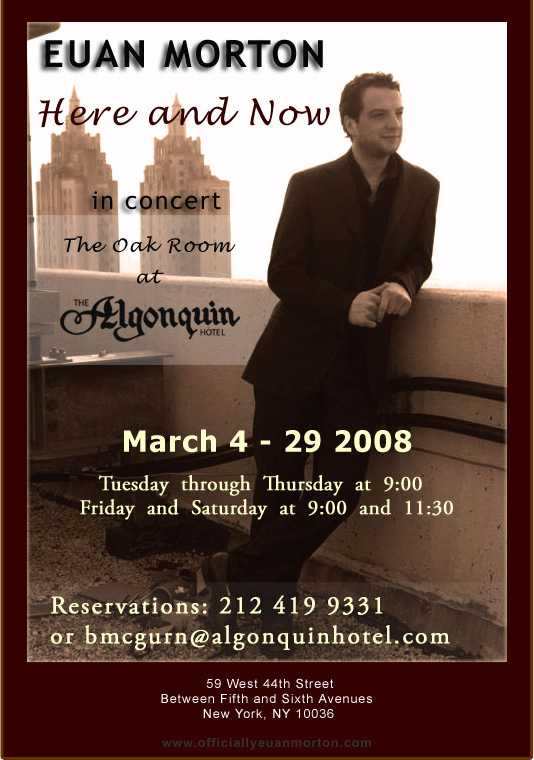 Euan performed a live solo concert at the Castle on the Hudson, Tarrytown, NY. 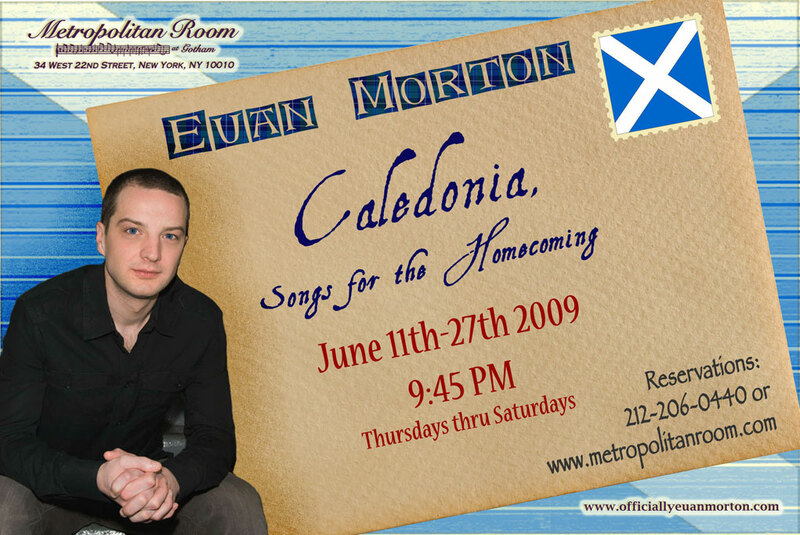 Euan performed a series of live solo concerts at the Metropolitan Room June 11th-27th 2009, Thursdays through Saturdays. Euan is the winner of the 2009 Bistro Award for Outstanding Vocalist for his 2008 performance at the Metropolitan Room. Congratulations Euan ! The ceremony was held on Tuesday April 28th 2009 at Gotham Comedy Club, NYC. Euan performed a song from Caligula at NYMF's Best of Fest, New World Stages, New York. Euan starred alongside Victor Villar-Hauser and Alexa Kelly, in the U.S. premiere of Philip Ridley's Leaves of Glass, at the Peter J. Sharp Theatre in NYC. Read the press release and see pictures of Euan in Leaves of Glass. Euan hosted the 2009 edition of The Nightlife Awards on January 26th at Town Hall. 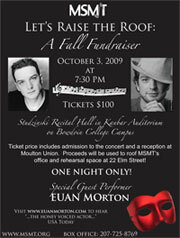 Euan hosted the 2008 Theatre Museum Awards for Excellence at New York City's Players Club. Euan was interviewed on Broadway's Best, on Sirius Satellite Radio, Channel 77. Parts of the interview were broadcast everyday from October 13th to 17th at 1:00 PM ET, to listen to the show please go to the Multimedia section. 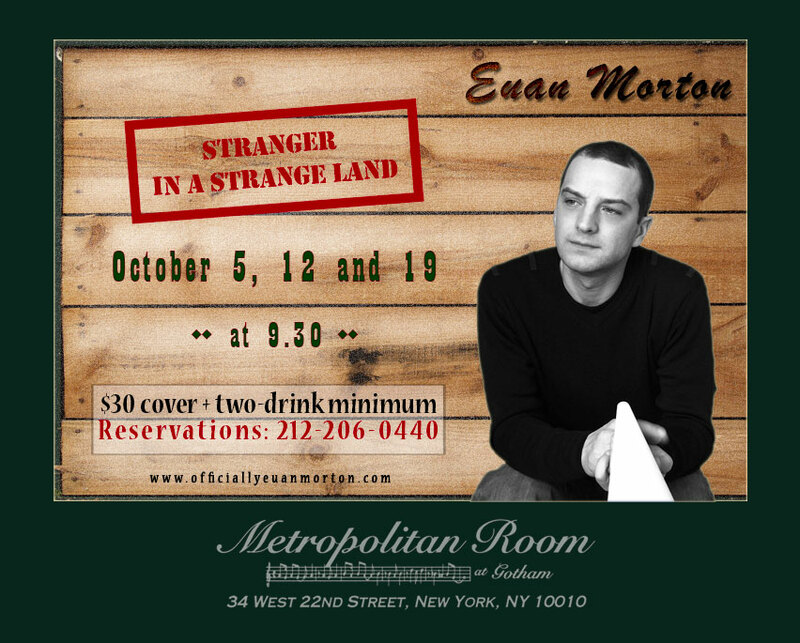 Euan performed 3 solo gigs at the Metropolitan Room, NYC, on October 5th, 12th and 19th at 9:30 PM. Read the press release and the set list. For information please visit www.projectshaw.com. Read the press release and the set list. Euan was interviewed on the Joey Reynolds Show on WOR 710 AM, listen to 2 audio clips. Euan appeared in Cyrano de Bergerac with Kevin Kline at the Richard Rodgers Theatre from October 12th 2007 to January 6th 2008. 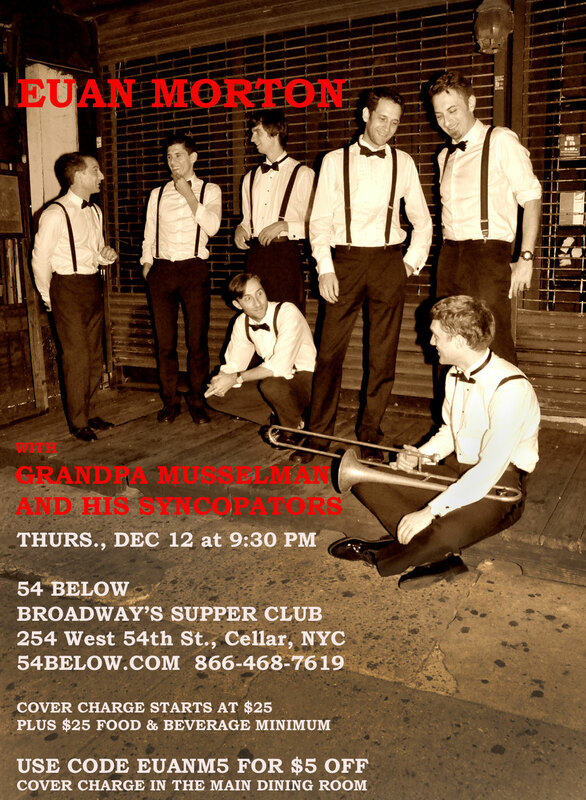 A NEW YEAR'S EVE CABARET CELEBRATION! See the set list, the flyer and read a fan review. Euan took part in Noël! Noël! (A Noël Coward Celebration) at The Oak Room at the Algonquin Hotel, New York, NY. Euan took part in The Eelwax Jesus Christmas Show at The Zipper factory, New York, NY. Euan appeared at Only Make Believe benefit at the Hudson Theatre at the Millennium Hotel New York, NY. Euan played Adolphus Bastable (a leader of fashion) in a reading of Passion, Poison, and Petrification, a play by George Bernard Shaw. He also played an orderly in Press Cuttings, another play by Shaw. Euan took part in the New Globe Theater Gala. Euan played Octavius Robinson in a reading of Man and Superman, a play by George Bernard Shaw. Euan performed a live concert on the Norwegian Dawn, during R Family Cruise, see the photos. Euan played 2 live concerts at The Zipper Factory, NYC, see the photos. Euan did a workshop and masterclass at the Reston Community Centre. Euan performed a solo gig at "Chez Shugoll" in Chantilly, VA.
Euan performed a solo gig at Westfield High School in Chantilly, VA.
Euan appeared with Alfred Molina in Patrick Marber's Howard Katz at the Roundabout Theatre in NYC. 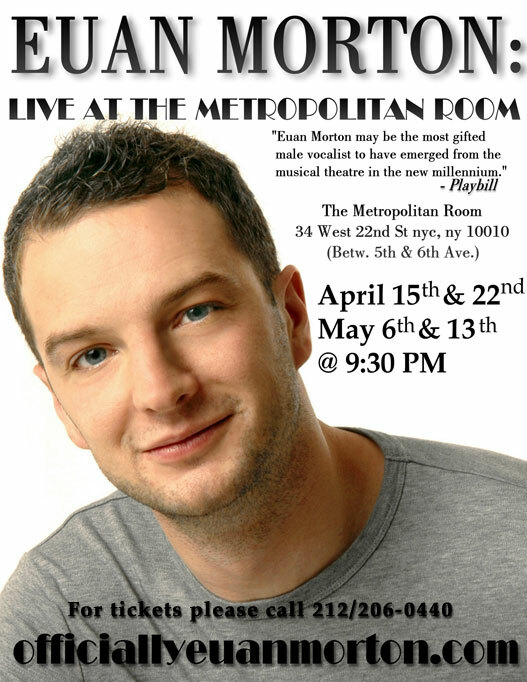 Euan performed 4 solo gigs at the Metropolitan Room in NYC, see the pictures and the set lists. Euan performed 2 concerts as part of the new Signature Theatre's grand opening celebration, click here for the 2 set lists !!! Euan recently performed 2 solo gigs at Birdland (NYC), see the photos and click here for the 2 set lists !!! Euan recently performed at Richwoods High School (Peoria, IL), watch the TV news report here !!! Euan took part in the 3rd Annual Broadway Unplugged! at Town Hall, New York, NY. Euan appeared at Only Make Believe benefit at the Hudson Theatre at the Millennium Hotel New York, NY. Read the press release. Euan starred in Bay Street Theatre’s Summer Gala Benefit Bash on Saturday, July 29 at Harding Farm (780 Lumber Lane Bridgehampton, NY). See the photos and read the press release. 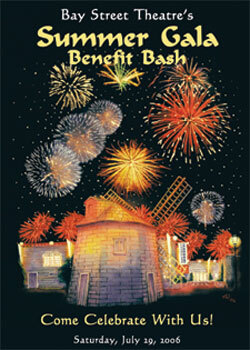 Euan played the title role in The Who's Tommy at the Bay Street Theatre in Sag Harbor, NY. 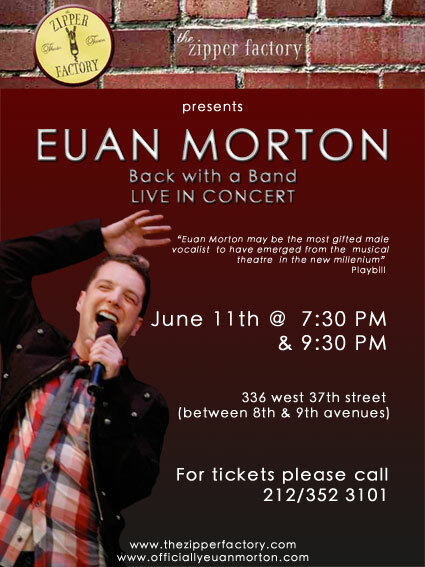 Euan performed a solo concert at the Bay Street Theatre in Sag Harbor, NY. Check out all the details in the official press release ! Set list here. Euan performed a solo gig at Birdland. Euan took part in Stuck in the Zipper, a benefit concert at the Zipper Theatre (336 W. 37th St.) featuring new songs by composers Joe Drymala and Eric Svejcar. Euan played the title role in Brundibár at The New Victory Theater in NYC. Euan performed one song at the T. Schreiber Studio Benefit. Euan performed a gig for the arts student community at the University of Utah, Logan, UT 84321. Euan took part in ArtSpeak! at Poe Middle School, 7000 Cindy Lane, Annandale, VA 22003. ArtSpeak! 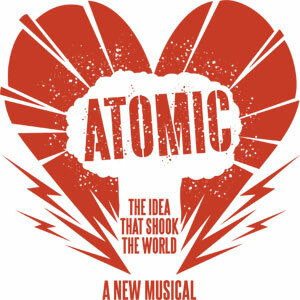 is a programme intended to excite students about theatre. Euan performed 2 solo concerts at Joe's Pub, NYC. Euan played Molly Tawdry in Measure for Pleasure at The Public Theater in NYC. Euan celebrated the release of his debut solo album NewClear with a solo concert at Joe's Pub, click here for the set list and here to see photos. Euan was part of Cabaret Gourmet gala at the NYC Public Theater. Tune in to 88.3FM or stream it via the net at www.waif883.org or www.waifstream.com. Originally scheduled for February 22nd, this exclusive radio interview with Euan will air again on March 1st from 12am to 2am eastern time (i.e. Thursday March 2nd early morning). For additional information please visit www.DJVictim.com. 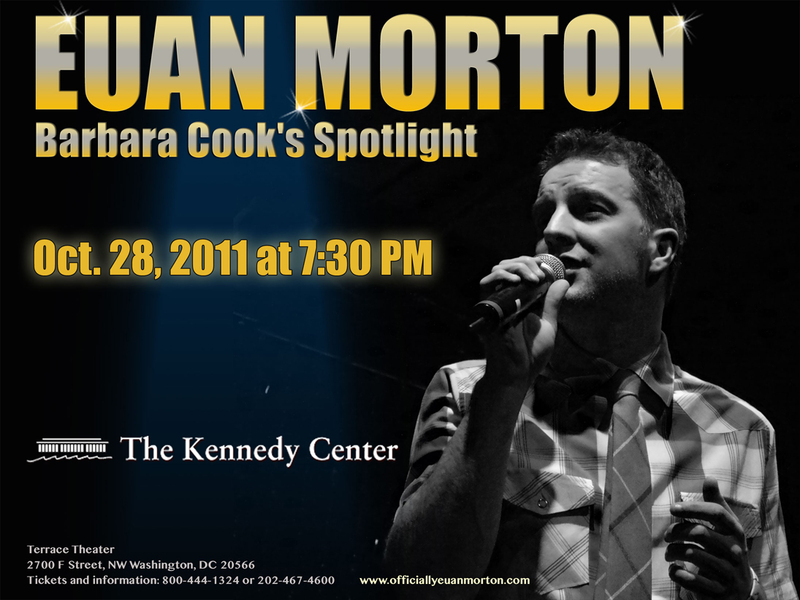 Euan performed 2 solo gigs at the Signature Theatre, Arlington, VA. Photos here. 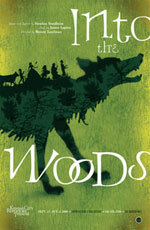 Euan played the title role in Tony Kushner and Maurice Sendak's opera Brundibár at the Berkeley Repertory Roda Theatre. • Euan sang in a solo performance of all Broadway Music at Town Hall in New York on Saturday, October 22nd. He performed an entire act of a two-act show which also featured Eden Espinosa (Brooklyn the Musical). 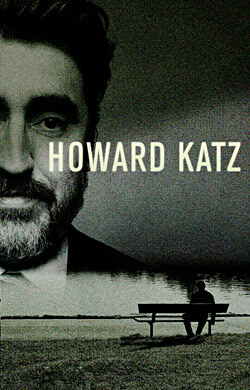 Contemporary and classic Broadway songs were on the programme, including music from Taboo. This dual concert was part of The First Annual Broadway Cabaret Festival produced by Scott Siegel. Click here for pictures. • On September 19th Euan took part in the second annual Broadway Unplugged concert at Town Hall where he performed "On The Street Where You Live" from My Fair Lady, click here for pictures. • From July 11th to 31st Euan was at the Sundance Theatre Lab to help workshop two pieces, Measure For Pleasure and Passing Strange. • On May 26th Euan appeared at Jamie deRoy & Friends where he performed 3 songs, click here for pictures. • Show Business, a documentary by Dori Berinstein about 4 Broadway musicals (including Taboo) was screened at the Tribeca Film Festival on April 25th, 27th and 29th. More info on www.tribecafilmfestival.org. • On April 11th Euan took part in Rosie's Broadway Belters, a charity evening of music and comedy at the Zipper Theatre, photos of the after party here. • Euan did a series of live gigs at the Zipper Theatre from November 9th to 14th, click here for pictures. • On November 6 Euan appeared at Jamie deRoy & Friends where he performed 2 songs, click here for pictures. • Euan performed "Bless the Beast and the Children" at the Only Make Believe benefit on November 1st, professional photos here. • On October 25 Euan performed at the VH-1 Save The Music benefit, photos here and video clip here. • On September 30 Euan was interviewed at Seth's Broadway Chatterbox, click here for pictures and here for a video clip ! • On September 27 Euan performed at Broadway Unplugged, a concert with no microphones! Photos here (scroll down). • On September 20 Euan took part in Hair, the Actors' fund of America benefit concert, see photos of the rehearsal and of the show. • From July 11 to 18 Euan was part of Rosie O'Donnell's Cruise. • On June 28th Euan was a guest star on Scott Nevins *presents*, click here for sound clips and here for photos. 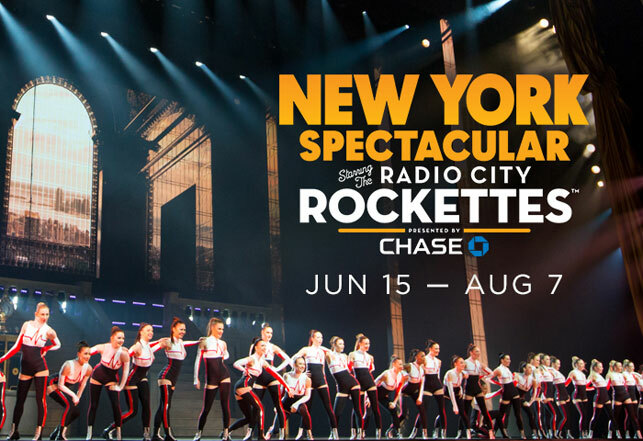 • He also sang 7 songs at the Broadway By The Year concert on June 14th, click here for pictures and here to listen to the audio files. • Euan made his solo debut concert on May 30th at Joe's Pub in New York, click here for pictures.